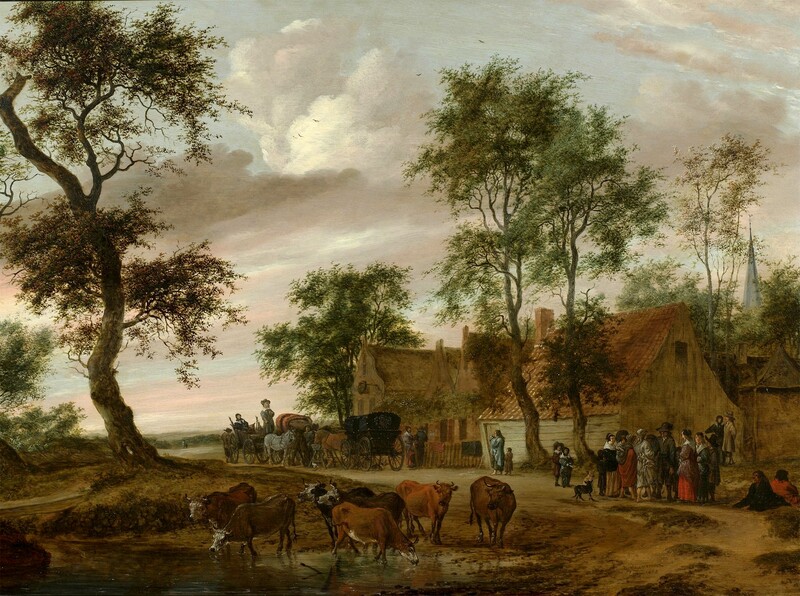 Salomon van Ruysdael – The National Gallery (London) NG6419. 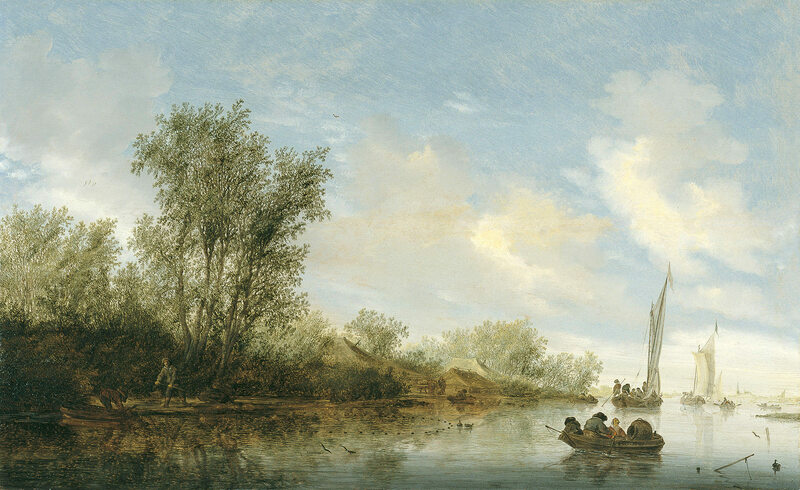 Title: River Scene. Date: 1632. Materials: oil on wood. Dimensions: 51.5 x 96.5 cm. Nr. : NG6419. Source: http://luxfon.com/images/201203/luxfon.com_15021.jpg. I have changed the light and contrast of the original photo. 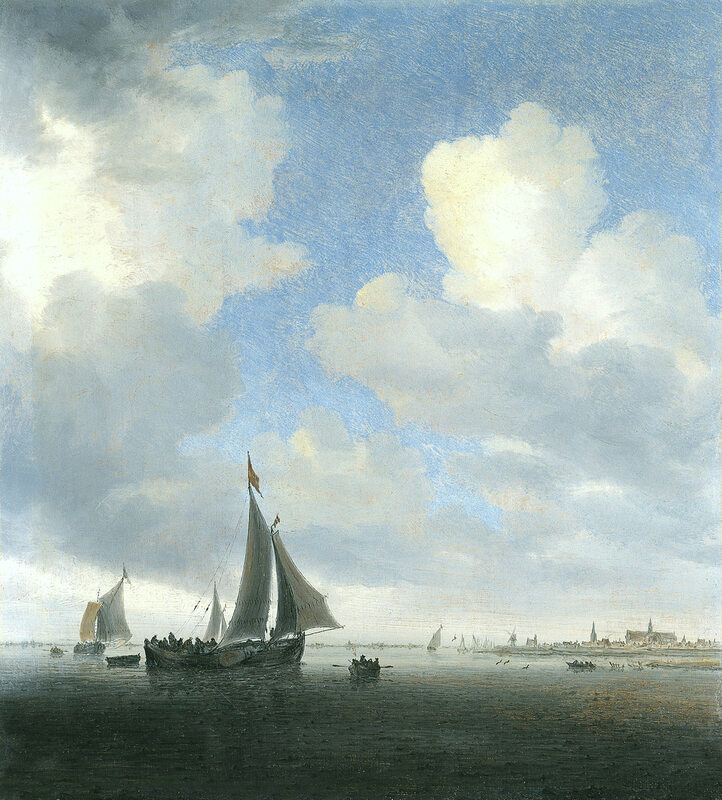 Salomon van Ruysdael – Museo Thyssen-Bornemisza 793. 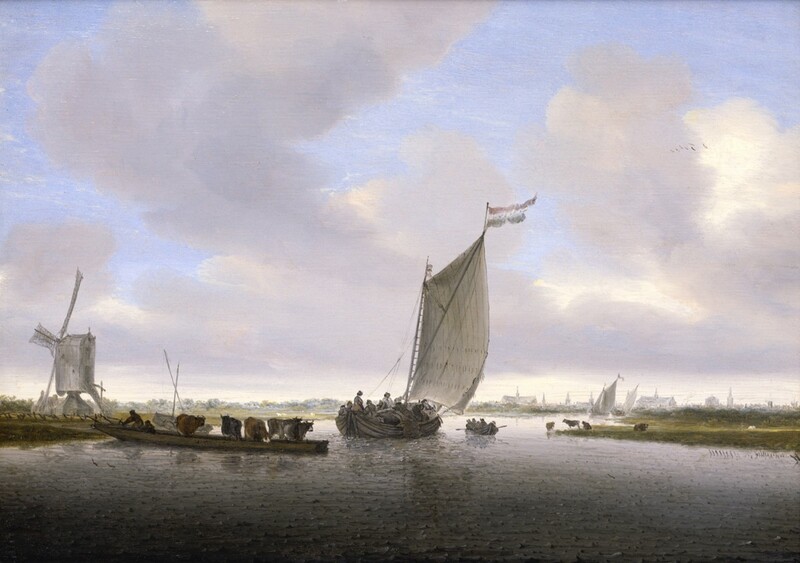 Title: View of Alkmaar. Date: c. 1650. Materials: oil on panel. Dimensions: 36.2 x 32.5 cm. Nr. : 793 (1930.103). Source: http://www.museothyssen.org//img/obras_grande/1930.103.jpg. I have changed the light of the original photo. 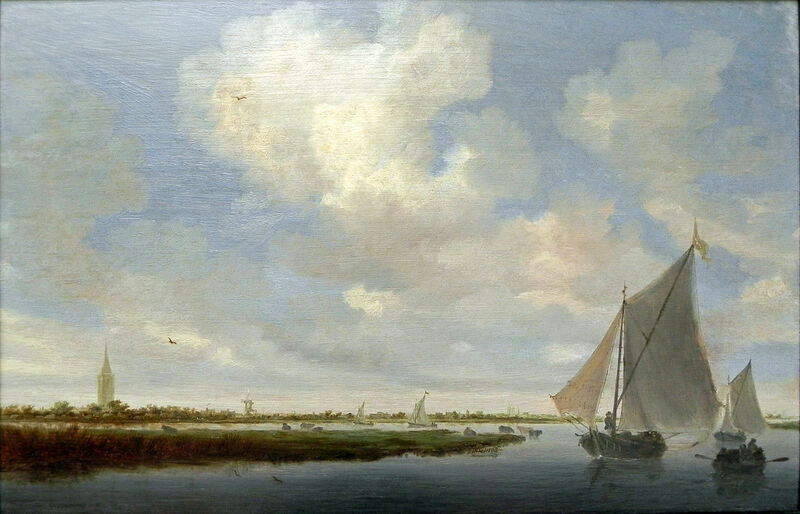 Salomon van Ruysdael – Museo Thyssen Bornemisza 360 (1930.102). 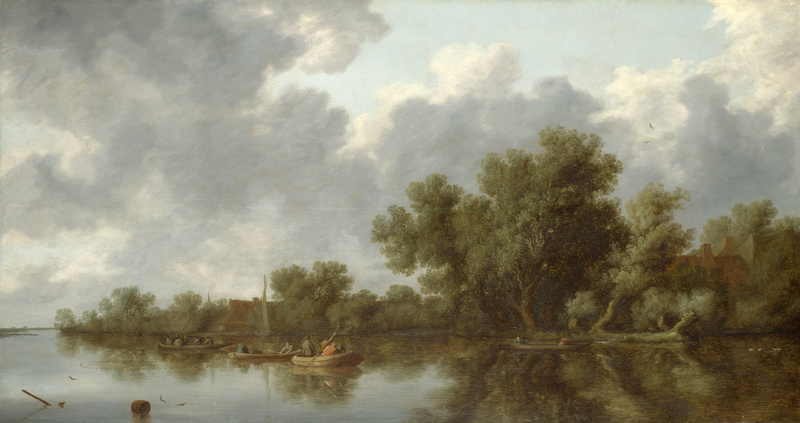 Title: A River with Fishermen. Date: 1645. Materials: oil on panel. Dimensions: 51.5 x 83.6 cm. Nr. 360 (1930.102). Source: http://www.museothyssen.org/en/thyssen/ficha_obra/201. I have changed the light and contrast of the original photo. Salomon van Ruysdael – Yale University Art Gallery 1980.12.33. 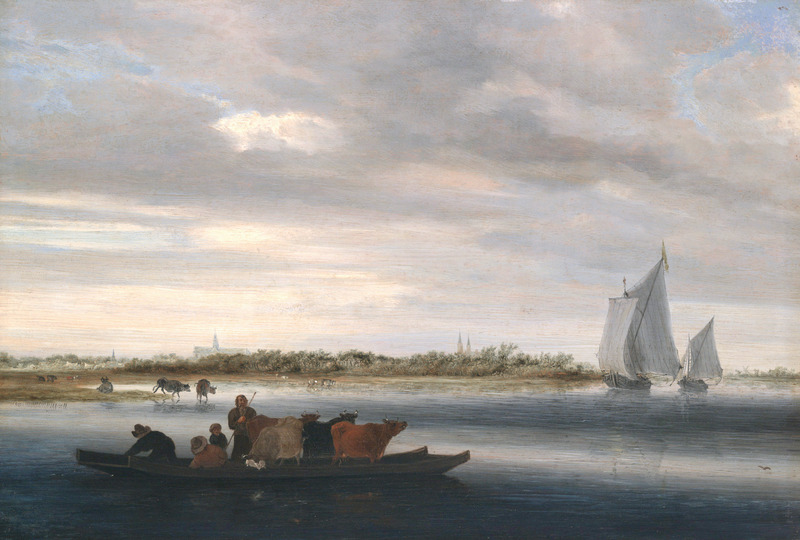 Title: View of Alkmaar. 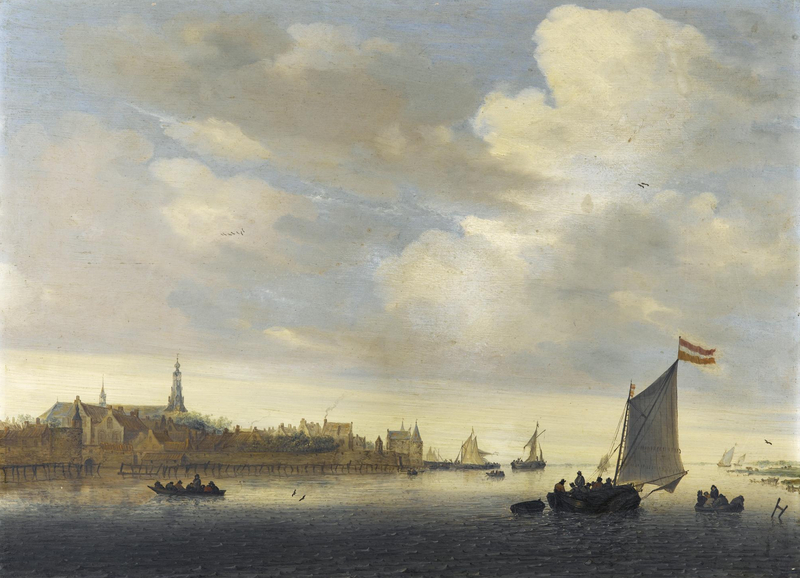 Date: c. 1650. Materials: oil on panel. Dimensions: 36 x 52 cm. Nr. : 1980.12.33. Source: http://artgallery.yale.edu/collections/objects/24368. I have changed the light and contrast of the original photo. 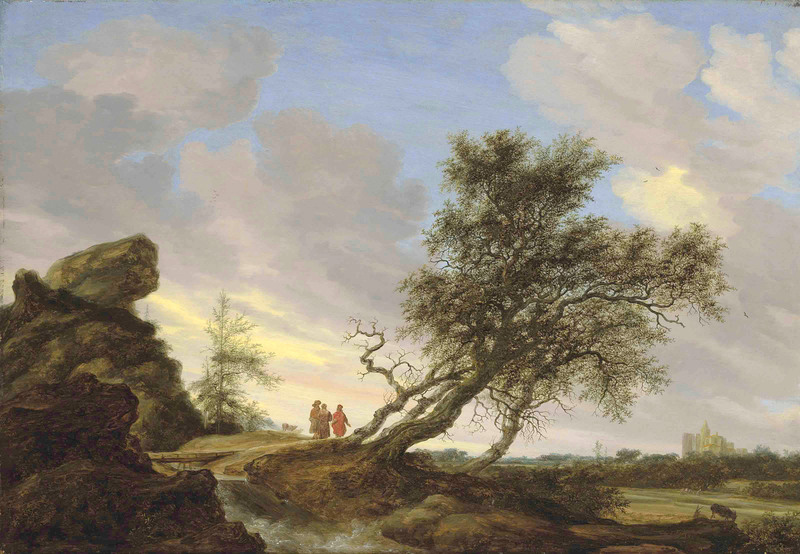 Salomon van Ruysdael – The Hermitage MuseumГЭ-3383. 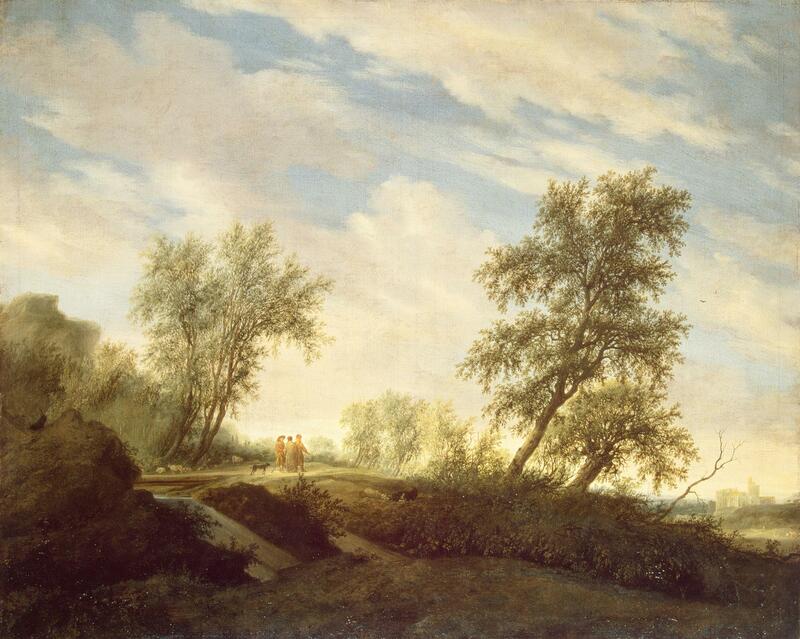 Title: Landscape with Christ and his Disciples on the Road to Emmaus. Date: 1645. Materials: oil on canvas. Dimensions: 82 x 103 cm. Nr. : ГЭ-3383. Source: http://www.hermitagemuseum.org/wps/portal/hermitage/digital-collection/01.+Paintings/41893/?lng=en.